Have you ever wondered how your brand or idea would appear on a box? Do you have a custom formulation of tea, herbs or spices that you want to expand and go into distribution? Is brand recognition and brand awareness a top priority for you? Do you want your story to be heard in a tangible format? If you’ve answered yes to these questions, you are at the right place and in the expert hands of Davidson’s Private Label team. With almost 4 decades of knowledge and expertise in the tea, herb and spice industry, we are well-equipped with handling any Private Label inquiry. Your partnership with Davidson’s will become your “one-stop-shop” with our direct sourcing of teas, herbs and spices, as well as our dual location (India and USA) co-packing flexibility. Unlike traditional co-packers, brokers, wholesalers and distributors, who only help source ingredients and connect you with various suppliers requiring you to spend your own time and effort in due diligence, Davidson’s in-house and knowledgeable Private Label team will make that process shorter and easier for you. We will literally, hold your hand and support you all the way from an initial phone inquiry to a product delivered on the shelf. Below is a detailed list of production capabilities we offer under our Private Label Program. These single chamber filter bags come without a string and tag. This tea bag style is suitable for products that are being produced in bulk (e.g. 50 count box, 100 count bag, 200 count case or any other bulk quantity), being marketed as a “minimal packaging” product (no string/tag and overwrap) or where the outside storage carton/tin/bag is primarily used as the medium for unit sale. Tea grades that successfully work well in production range from tea bag grade to cut-sift grade. These single chamber filter bags with string/tag and an overwrap combine convenience and functionality to the end-user. Both the string/tag are friction heat sealed onto the filter bags without any staples or loose knots. You can custom design and print the overwrap and tag for us to package your product, or we can provide our standard stock overwrap and tag (white or clear) for packaging your product. Despite the wide spread usage of this tea bag style in foodservice applications, tea bags with string/tag and an overwrap are becoming more commonplace in other areas too such as gifts and grocery. Tea grades that successfully work well in production range from tea bag grade to cut-sift grade. These filter brew bags or frak packs hold anywhere from 5 grams to 6 ounces of teas or herbs and are produced without a string/tag or overwrap. Depending on net weight or density of the product, the size of the filter brew bag or frak pack will vary. The primary application of these filter brew bags and frak packs are for iced teas in the foodservice industry. However, other customers use this for aroma therapy, spa treatments as well as in gift baskets. Tea grades that successfully work well in production range from tea bag grade to whole leaf grade. Our standard filter brew bags are packaged in an off-white color filter bag, while frak packs are packaged in either white/clear bags allowing custom labeling outside these packages. This style of filter bag provides the ability to package cut-sift to whole leaf teas/herbs for ultimate aroma, flavor extraction and leaf/flower infusion. Pyramid mesh filter bags can be produced in bulk without an overwrap in 2 formats: with a string/tag or without. Our stock tag style is a generic printed “TEA” tag in white/green color. You may custom print tags with your logo requiring a large volume print run with the printer. Additionally, our pyramid mesh filter bags are available in either nylon or a compostable non-GMO material. Production speeds of pyramid mesh filter bags are much slower than standard pillow bags while material costs much higher. Despite these constraints, this format has become popular amongst cafeterias, restaurants, food stores or coffee houses looking to offer a high-end product. Go an additional step in appeal with this style of filter bag providing convenience and functionality with the ability to package cut-sift to whole leaf teas/herbs for ultimate aroma, flavor extraction and leaf/flower infusion. Pyramid mesh filter bags with an overwrap can be produced in 2 formats: with a string/tag or without. Our stock overwrap is white and our tag style is a generic printed “TEA” tag in white/green color. You may custom print overwrap and tags with your logo requiring a large volume print run with the printer. Additionally, our pyramid mesh filter bags are available in either nylon or a compostable non-GMO material. Production speeds of pyramid mesh filter bags are much slower than standard pillow bags while material costs much higher. Despite these constraints, this format is sought after by several industries today. Not all tea or herbs are packaged in a tea bag or pyramid mesh filter. Loose leaf teas and herbs are widely sold “loose/bulk” across the country in tins, stand up pouches or tin-tie bags. When a tea bag or pyramid mesh filter is not the answer, consider packaging your product in a “bulk” format maintaining the integrity of the delicate leaves, flowers and herbs. We can produce in packages as small as 100 grams to large 5 lbs bags. Our stock packaging includes stand up pouches, tin tie bags and bulk cases. Our stock labels are white and you may also custom print color labels and provide us for your orders. We have the ability to either “shrink wrap” or “cello wrap” your cartons/boxes for complete care, integrity and tamper seal. But if you consider not overwrapping your carton, we provide a cost saving in materials and labor, as well as peace of mind in tamper sealing the package for you. The difference between a shrink film and a cello film is that the former is a “stretchy” material that “shrinks” on any package shape (round, square, rectangle etc.) while the latter a more precise film that prefers corners like a square or rectangular package. Both films are available in a clear form, provide tamper seal and product integrity, though the cello film provides an additional benefit of oxygen and moisture barrier. Additionally, if you have tea bags with an overwrap, do you really need an overwrap film for your carton/box? Food for thought, and we can certainly provide the right guidance you need for your product. Having two 1000 lbs blenders, one 200 lbs blender and one 100 lbs blender, enables us to fulfill small to large volume blending requirments. 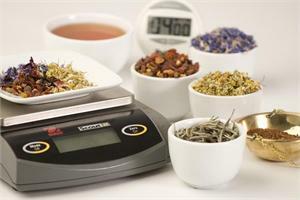 Custom blend as little from 25 lbs – 300 lbs as minimum subject to review of ingredients, volume, and machine capability. Our scalability to help you start out small with a low blending requirement to upscale to a higher level goes without saying. Whether you are considering blending powders, teas, delicate herbs/flowers, extracts or essential oils, our blending expertise will provide utmost care and professionalism in flavor management and product development. Additionally, with our direct to garden access to family owned organic tea gardens in India, and our parterships with numerous small farmer estates/gardens worldwide, our reach for ingredient sourcing surpasses most customers’ needs. And with over 300 in-house flavors to choose from, why re-invent the wheel when you can rely on our expertise. When the tea/herbs/botanicals are not the right size for production requirements, we can mill/sift the ingredients to sort out usable product vs. non-usable product. Approximately 10%-50% of the ingredient is lost (varies by ingredient and grade) as fine powder or dust during the milling process. Sifting is offered as a second solution to sort out the different grades we could possibly use or salvage, where an additional 5%-35% of ingredient is lost (varies by ingredient and grade) again. We strongly recommend you source the right grade of teas/herbs/botanicals either from your suppliers or from us (from our in-house stock of ingredients) for your production needs to avoid additional time delay and labor charges. We will understand your needs, share and propose ideas, recommend or formulate blends and varieties, support design and packaging options as well as manage your distribution requirements. We will provide direct access to tea gardens and bulk ingredient offerings from all over the world where we source organic teas, herbs and spices for our own use. With our in-house blending, manufacturing and packaging ability, we will monitor your project development, manage supply and inventory as well as provide real-time updates on your orders. 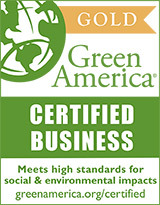 We will advise on any certification processes (Organic, Fair Trade and Kosher) that require complying with any regulatory requirements (USDA NOP and FDA). These synergies help ensure that you are getting the most competitive pricing, superior quality of organic teas, herbs and spices and excellent customer service, all under one-roof. Essentially, our satisfaction is determined by your success. Some of our Private Label customers include coffee roasters, tea rooms/coffee shops, grocery chains, gift packers, gift shops, natural and specialty food stores, bottlers, juice companies, wineries, mail order companies and various eco-friendly businesses to name a few. Printers have minimum custom printing volume requirements starting at 50,000 overwraps and 3000 boxes, translating to a start-up financial investment of $2000 to $10,000 appx. for your packaging materials. We are able to provide generic packaging materials on a case by case basis to reduce your financial outlay. General printer timelines range from 4 weeks to 6 weeks depending on volume, regulatory approval and certification requirements. It is important you have done your cost analysis prior to submitting your form below to understand your commitment to the program. Please submit your private label inquiry using our PRIVATE LABEL PROGRAM REQUEST FORM. A member of our team will follow up on submission of your form.